They are young, promising and talented. Hailing from the satellite city of Pune that is fast making a mark on the fashion map, these designers have travelled to different cities exhibiting their design sensibilities and uniqueness. From classic gowns to the Indian suits, they have re-defined fashion with their ground-breaking creations, not only in Pune but also beyond. Join us for a tete-a-tete with the city’s most innovative designers. Her creations spell elegance and style. She loves colours, embellishments and embroideries. Nivedita Saboo, a NIFT graduate who started off her career as the head of Arvind Brands, Bangalore, now proudly designs for own label that is known for its chic cuts and styles., it's a pleasure to sit through the young designer's shows on the ramp. This year her collection comprised digitally created prints on traditional patterns, blending the conventional with the contemporary. From cut-work leather jackets teamed with dhoti pants to churidars paired with a high-slit cocktail gown, she loves to experiment. 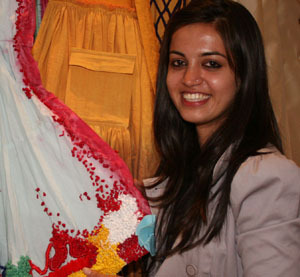 She was only 22 years old when she launched her label in Pune. 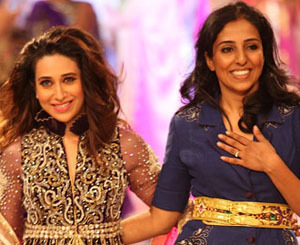 She has been instrumental in launching the Pune Fashion Week and bringing in brilliant designers from across the country to the city's fashionistas who would earlier travel to Mumbai for designer labels. Prominent for her jaw-dropping cuts, multitude of colours and the access of customisation, Nafisa Poonawala Hashim's well-fitted clothes enhance a woman’s look and personality. Having a dress for every occasion for those love donning western wear, Hashim’s creations include chic gowns, trendy trench coats, smart skirts, fitted shirts and jackets. But her love has always been the classy gowns that she designs. Flowy, fitted or fun-you just need to pick the look and she’ll have it created for you. She believes in creating the right fit and style depending upon her client’s body type. 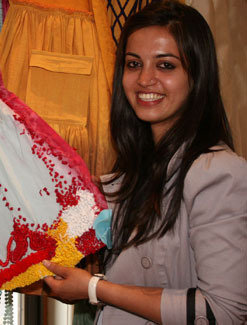 Inspite of her degree in 3D animation, her interests has always been to become a fashion designer. Head turner-jackets, dresses, skirts, tunics and blazers tops in her design book. Ethnic celebratory colours fused in western silhouettes, with sequins, embroidery and beads on vibrant silks, jute and khadi, this young designer celebrates various culture and styles from across the world. Karishma Shahani’s creations exudes rich heritage of the kings and merchants from the Middle East, Asia, Africa and Europe. A graduate from the London College of Fashion, she is a strong supporter of eco-fashion. She works with NGOs that promote traditional crafts, uses natural fabrics and makes recycled materials. So, you can expect recycled plastics, packaging material, reclaimed metal trunks, rice sacks and old silk saris recycled to make her funky jackets and skirts. She has also been designing funky mobile pouches and bags with scraps of cloth and recycled buttons that never fail to add a dash of spice to your accessories.